Certaldo is one of Tuscany's best preserved villages, with wonderful barley fields, cypresses trees and olive groves: the word "cerrus", in fact, meant "hill sorrounded by oaks" in Latin. The town is divided in two parts and the most picturesque between the two is Certaldo Alto, birthplace of Giovanni Bocaccio and made of medieval houses and palaces. Different wedding ceremonies are available: it's possible to choose between civil wedding, symbolic or catholic marriage in one of the many reception venues available. Couples who get married in Certaldo experience an authentic medieval atmosphere since the Wedding Hall is located in the medieval walled town on a hill. This charming upper town can be reached on foot or by cable car anyway we always provide complete info on the upper town, the Old Certaldo, to have everything: accommodations, wedding hall and restaurant on hand. English: Mount Etna, Sicily, topped in snow Italiano: La cima dell'Etna era coperta di neve (Photo credit: Wikipedia)Mount Etna is one of the world's most active volcanoes, and it is the largest in all of Europe. It rises to almost 11,000 feet above sea level. It truly is a remarkable experience because of how quickly the vegetation and temperature will change as you ascend to the top of the mountain. At the lower levels, it is very lush because of the volcanic soil. There are plants and vegetables that are unique only to this mountain. And some of the local wine that is grown alongside it is truly delicious. Then are you reach the higher levels, the surface becomes almost moon-like as you see the dead craters of the volcano and you truly appreciate the destructive force of Mother Nature. A newly born event, but already considered as one of the main fairs in the field of cycling, Expobici will be back in Padua from the 22nd to the 24th of September 2012. The first edition of the fair took place in the Venetian city in 2008, and in few years the numbers of the event have grown making it become the second trade fair of the sector in Europe. Confirmed also this year the features that made the event so appreciated and in such a little time, first of all the wide exhibitory offer that characterizes the fair, which is attended by exhibitors specialized in the various sectors belonging to the world of cycling. Stalls of bike manufacturers and shops (from bmx to tandems, from MTB to racing bikes), as well as companies specialized in the production of bike accessories and components and in clothing and accessories for cyclists. But the offer of Expobici is even wider than that and includes also stalls dedicated to nutrition for athletes, trade journals, exercise machines, software, cycling associations, institutions, organizations and sporting events. Icing on the cake, the spaces dedicated to cycling tourism, with the exhibition of touring equipment and the stalls of agencies and associations that deal with and offer this type of travels and tours. The companies that give an evidence of being engaged in the innovation of the sector offering cutting edge products will be awarded by a jury of journalists, shop owners, designers and marketing experts and craftsmen. The Expobici Innovation Award will be awarded on the 22nd of September, and the nominees will be subdivided into categories: MTB, road, urban/e-bikes, components/accessories, clothing, bike4fun. Want to fit into & feel part of the lively coffee bar culture in Italy? Busy local bars (cafes) in Italy attract a steady stream of regulars who drop by daily for a quick coffee (espresso) and later on a quick drink, to get caught up on local news with each other, glance at the newspapers, and chat back and forth with the barista. Cafes are a type of gathering place for the community. Later they usually offer a variety of freshly made sandwiches so you may return there for a quick bite. At any time of day you can choose from a wide choice of drinks from fruit juice to wines to hard liquor like scotch to liqueurs. Breakfast in bars in Italy is typically an espresso, caffe latte or cappuccino with a croissant or similar pastry. At home most people have a caffe latte and biscuits or bread with jam and that's it, the continental breakfast. Many better hotels offer a wider choice for tourists like ham, cheese, cereals, fruit and yoghurt. But why not have breakfast Italian style at a bar with local people and mix and mingle? It will also cost less than your hotel breakfast. On Skype I talked with our long time Bologna cooking tour colleagues, who've lived in Bologna for 40 years and grew up nearby. How to find good places to eat in Bologna where locals go? The question was more complicated than that in Bologna, they said. Better to ask, "How to find good places to eat top quality, real Bologna style food where locals go in Bologna?" The picturesque coast along the Cinque Terre is one of Italy's most prized tourist destinations. 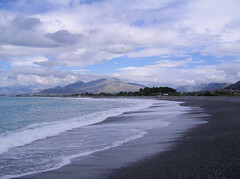 This land of five villages is situated on the western coast of Italy. When you travel to Cinque Terre, the beautiful scenery of this region provides a mesmerizing view and gives immense satisfaction to the travelers. 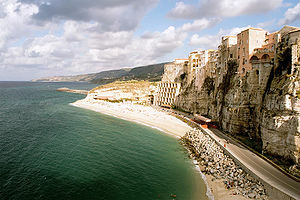 If you're looking for a vacation or travel destination that will leave a lasting impression, it's time for you to visit the new stunning destination to see - Calabria, Southern Italy. This region might leave a lot of people dumbfounded. It's not exactly a household name in terms of popular travel destinations. But that's because Calabria hasn't been very accessible for a really long time. In fact, only some parts in the UK, Europe and the US have had a direct routes to the region's airports. It was only recently that the Italian government and the Calabria local authorities have made giant steps in upgrading its road infrastructures and airports. Milan is one of the best cities in the world where you can visit and explore. This city is called as the 'Fashion Capital of World'. 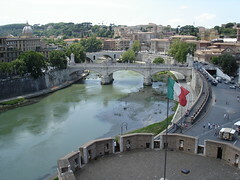 The city has a number of options for those who are interested in the art and culture of Italy. There are a number of things which you can do in Milan when you come here. Here are some of the top things which you can do once you come to Milan. a. Pay a Visit to Duomo: This is undoubtedly the number one suggestion one can give you when you come to Milan. 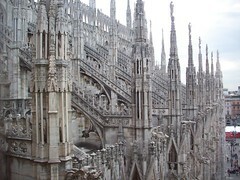 The Duomo or Cathedral is one of the largest Gothic Cathedrals of Italy. The church provides you some of the best views of the nearby areas. The Cinque Terre is a picturesque series of five villages located along the Italian Riviera in the region of Liguria a little west of La Spezia. In fact, Cinque Terre means five lands or "five earths" in Italian. 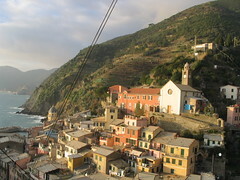 The five villages (alphabetical) include Corniglia, Manarola, Monterosso al Mare, Riomaggiore and Vernazza. This is a great area for hiking and also for swimming, so it attracts many outdoor enthusiasts. It also attracts loads of tourists in the summer because of its awesome and rugged beauty. Rome is home to many fascinating attractions and its historical significance expands beyond the birthplace of the Roman Empire. Its links to Christianity are evident around every corner in the city, and none more so than at the Vatican City. The Vatican City attracts thousands of visitors each year and it is easy to see why. A city within a city, the Vatican is home to the Pope, the elaborate St Peter's Basilica and the beautiful Sistine Chapel; famed for its architecture and renaissance decoration by artists such as Michelangelo, Raphael and Sandro Botticelli. While the queue to see Michelangelo's work on the ceiling of the Sistine Chapel alone will take up a large proportion of the day, it will be time well spent as you eventually get to fully appreciate its attraction. The Pantheon is an ancient temple in Rome. It is also known as the "temple of all gods". Astounding architectural design combined with its rich history makes it a famous tourist destination. Very few architectural master pieces get the attention the Pantheon gets. A "temple of all gods", this work of genius has fascinated human imagination for centuries now. If you are visiting Rome don't miss visiting this pagan temple. A fine example of glorious Roman architecture, it's a reminder of the splendid days in Roman history.